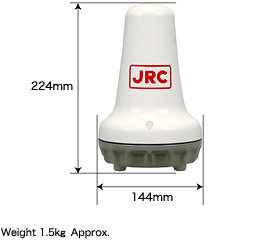 The JUE-95VM is a small, lightweight and high reliable terminal and can be installed on small and large fishing boats. The operation software can be loaded to a personal computer. Its operation is extremely user friendly. communications anywhere in the world. 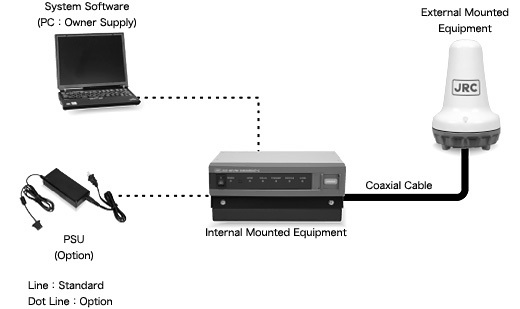 Its primary function is to transmit position data from fishing vessels. It operation is conform FFA (Forum Fisheries Agency) regulations. The MES is programmed to automatically respond to a polling command from a land-line subscriber and send out pre-edited messages and various on-board data to him. The MES automatically transmits ship's position data and various on-board data by presetting the file name, send-out time and address number, and input of an automatic transmission command. The MES incorporates various self-diagnostic programs to facilitate maintenance and troubleshooting. The self-testing results are displayed on a data terminal equipment. Automatic testing for performance verification and commissioning via satellite channel is also available. By incorporating a JRC compact, high-performance GPS receiver in the EME (Externally Mounted Equipment), position polling and reporting is available. Data/messages can be transmitted and received by simple operation. Store and forward message transfer by ARQ ensures reliable message transmission between the MES and telex or data subscribers through a satellite channel. The DTE and Printer fully meet the latest IMO regulations. In case of failure of the ship's mains (AC source), the power supply is automatically switched over to an emergency DC source. When an incoming message is received, the buzzer box generates an audible alarm to advice message reception to the bridge or other places. 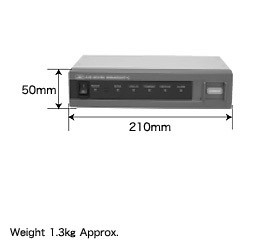 Optionally, 3.5 inches two-mode floppy Disk Drive(2HD and 2DD) is available. The MES incorporates an EGC(Enhanced Group Call) function which enables it to receive the SAFETYNET(maritime safety) and FLEETNET(commercial one-way communications) services.